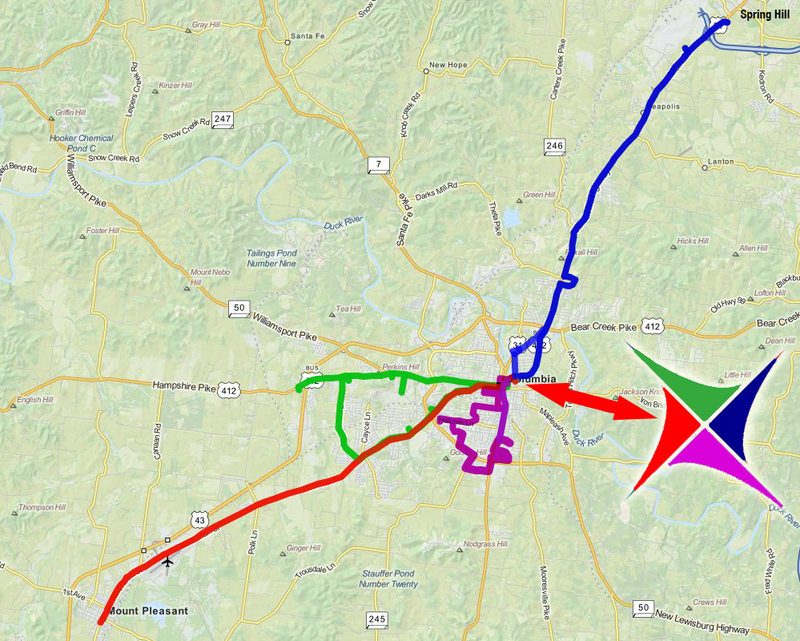 The new integrated South Central Area Transit Service and South Central Tennessee Development District Public Transportation has implemented a new deviated fixed route service for Maury County and surrounding areas. The new expanded service will provide four regular routes extending from Columbia to Mt. Pleasant and Spring Hill, as well as integrating two routes inside downtown Columbia. These new routes run every hour and provide an interconnect at the new interchange of Riverwalk Park in downtown Columbia. During the initial trolley demonstration period, there will be no fares charged for riding begin Nov. 25 and Dec. 31, 2015.